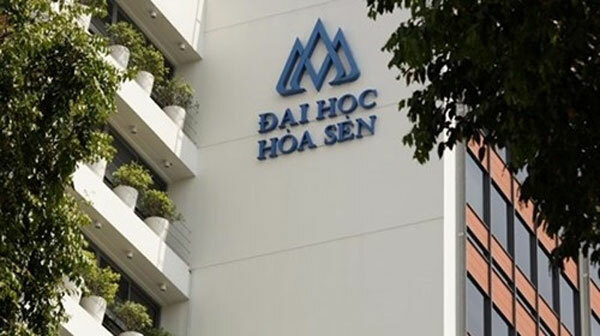 VietNamNet Bridge – HCM City’s Party Committee Secretary Dinh La Thang has asked the privately owned Hoa Sen University to meet regulations to become a non-profit, private university and submit official documentation to the Ministry of Education and Training. In a working meeting with the university leadership on May 25, Thang said that official non-profit status would have to be approved by the ministry and the Prime Minister. Thang met with university leaders to discuss the issue with Hoa Sen rector Bui Tran Phuong and the school’s shareholders and board of directors. Thang, who supports non-profit status for the university, praised the school for its training of high-quality human resources for the city. The university has been operating with a non-profit orientation since it was set up in 2006, when the Prime Minister officially established Hoa Sen as a private university. In October 2015, the Ministry of Education and Training, following a request by the HCM City’s Department of Education and Training about Hoa Sen University’s status, affirmed that the university was a private education institution. To convert to a non-profit, private university, the ministry said that it must comply with procedures required under a regulation about universities issued by the Prime Minister in December 2014. Thang said that relevant agencies would offer advice to the city’s People’s Committee about the university’s new board of directors, which have not been approved by the city’s Department of Education and Training. In late May, the department told the People’s Committee that it had not accepted the university’s board members for various reasons, including disputes about the university’s shareholders and their stake in the school.